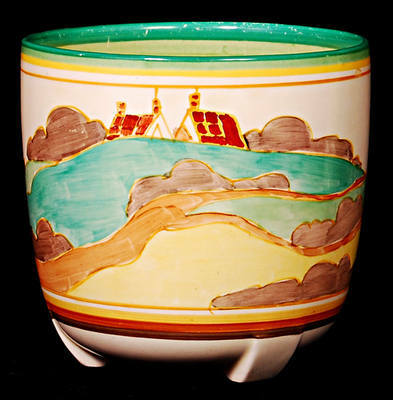 A Jardiniere by Clarice Cliff in the Secrets pattern. Size 5 inches high by 5 inches wide. Excellent condition with great paintwork. No damage or restoration. Only a couple of scuffs to the inside. No damage or restoration. Signed Fantasque Bizarre by Clarice Cliff. Price £345.